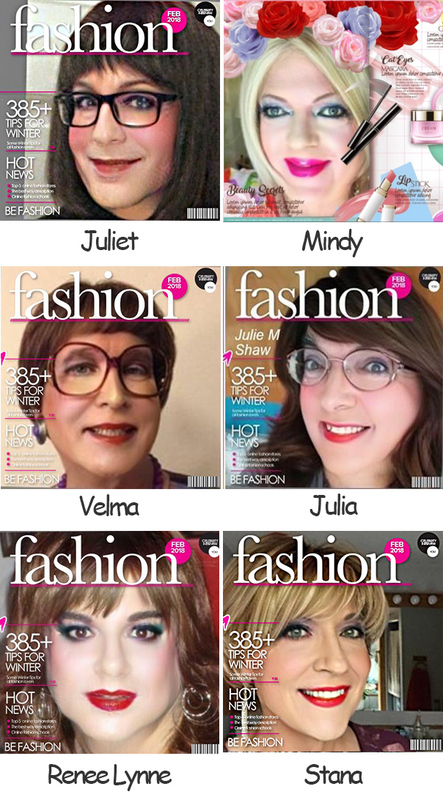 Last week, I mentioned an online app that puts "Your Face on a Glamorous Magazine Cover In Seconds!" Some of you tried it out and sent me the results and with your permission, I am posting your glamorous images here today. I mentioned last week that some of my results were blurry. After experimenting with the app, I discovered that I got better results (see my image below) if my original photo was a headshot rather than a full-length image. Your mileage may vary, but if you are experiencing blurry results, try a headshot and see if that is an improvement. Have Fun! And please send me your results if you would like to see them posted like the ones below. This was a fun app - thanks for sharing.